How to film rare spider monkey behaviour in clay licks of the Peruvian Amazon rainforest. 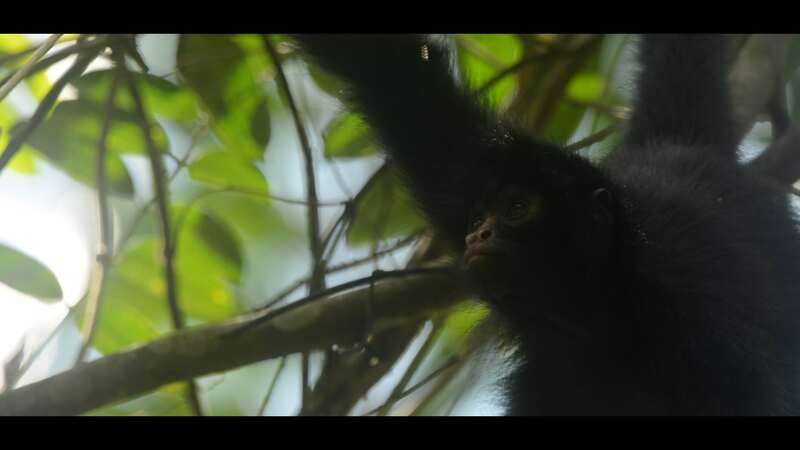 Discover how filmmaker Eilidh Munro captured rarely seen footage of endangered spider monkeys feeding at a mammal clay lick, and what it means for rainforest protection. We all love those ‘making-of’ sections at the end of nature documentaries. You know the bits I’m talking about: where the increasingly fraught but nevertheless passionate cameraperson fights hurdle after hurdle on their quest to find and film their subject, to capture it at the very last moment, right before the production company decides to call it quits. We wonder if these are heavily edited alterations of real life, to further dramatise the story we’ve already so effortlessly enjoyed from the comfort of our own homes. Well in my experience at least, that’s far from true. The struggle is - as they say - very real. 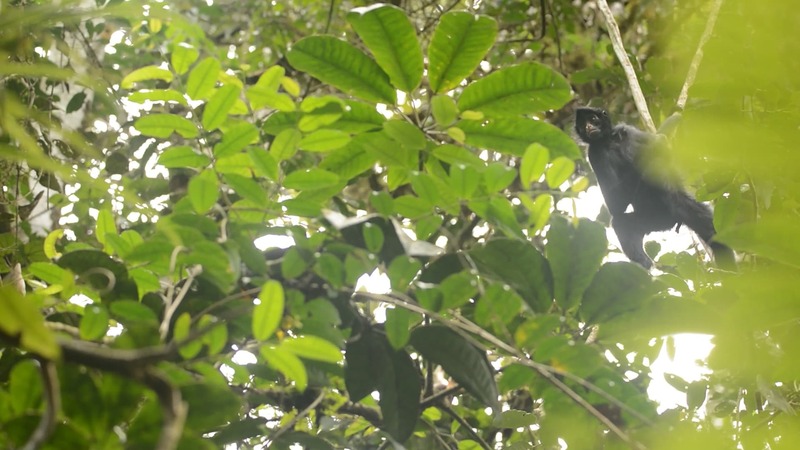 Last week we released A Rainforest Reborn, a new film for Crees which reveals rarely-seen footage of spider monkeys feeding at a mammal clay lick. A Rainforest Reborn follows a family of monkeys teaching their young daughter how to access this clay lick, alone, for the first time. Reaching the forest floor - far from the safety of the canopy - is a perilous voyage for any monkey, not to mention an inexperienced juvenile. After all, spider monkeys are not the only species to return to this once-destroyed forest: 89% of all biodiversity has come back here, including predators such as jaguar, ocelot and puma. All too often, we read stories of conservation catastrophe. At times it can feel like a hopeless battle. However, with A Rainforest Reborn, we have a story of hope, resilience and change. Not far, you could say, from the story of how it was made. I lived and worked in the Crees Reserve for 8 months. There are more commonly-sighted species than the Peruvian spider monkey (ateles chamek), but they are not entirely elusive, and occasionally (just enough to keep us interested, I guess) we are lucky enough to cross paths - us on the bottom level, them on top. So, the thought goes, if I put in enough time and effort, it shouldn’t be too hard to find and film them. Right? First up was ‘phase hide’. The task: get up early, reach the clay lick before light, sit inside a canvas hide, be quiet and try not to eat your lunch too early. 40 hours later, with enough footage for a feature film on the clumsy and clay lick obsessed Spix’s Guan, and not a spider monkey to be seen. That’s not to say they weren’t there. You can imagine the face-palm moment after staying in camp for my once-a-week office internet slot and hearing: “Were you in the clay lick this morning? We saw your monkeys there!”. However, as the saying goes, good things come to those who… trek. I took to looking through data of spider monkey sightings, and following our previous research coordinator Ruth’s approach to woolly monkey monitoring, tried to find their nesting sites and the routes commonly used for travelling through trees. For five weeks I then solo-trekked through the rainforest, walking slowly, listening carefully, carrying 15kg of equipment in dry bags to protect them from the humidity. To increase my chances, I also camped in an area where the monkeys were often spotted. Miraculously, this also turned out to be a nesting site for one family who I could film settling down for the night. However, the ground I filmed on was a steep slope in the thick of the forest undergrowth, with vines that wrap and strangle trees until they eventually fall, allowing light into the canopy and new species to grow. It was not ideal. I could barely see through the trees and my tripod legs were in a maze of vines and roots. What happened next should not be a surprise: a slip, a fall and a snapped tripod leg. We did say this was a story of hope, resilience and change. The change for now was filming on a level lower down on my tripod. However, this story also needs resilience, and so my daily solo-treks continued. Thankfully five weeks later, these efforts finally paid off, when I met our family of monkeys using teamwork to guard and enter the clay lick. To capture it, in a sheltered area, I set up my equipment as quickly as possible, so as to not miss the action or disturb the group. Our monkeys were calling to one another, entering and leaving the clay lick, and the young monkey was communicating with her family. You can therefore imagine my horror when, despite the dry bags, I could not see a thing through the lens: it had been completely attacked by humidity! Thankfully, after a frantic 5 minutes of cleaning, it cleared and I could finally film. 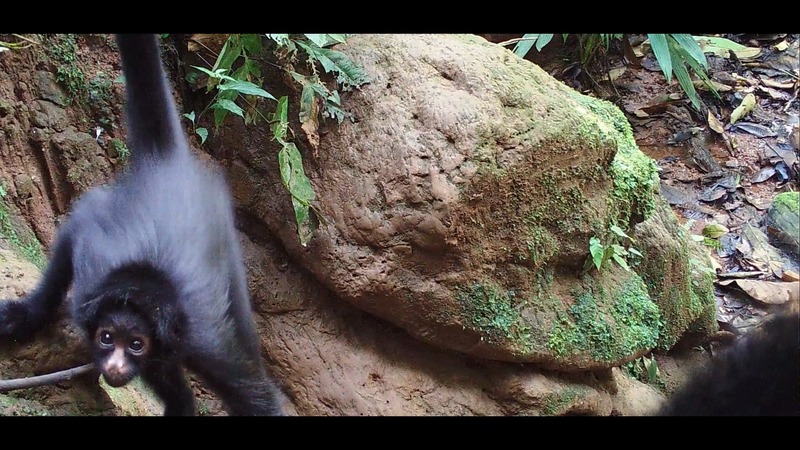 With camera traps inside the clay lick itself, from three different angles, I could also film the feeding without disturbing the monkeys or changing their natural behaviour. The feeling of witnessing this feeding behaviour and capturing it on film for others to see is indescribable; the fact that it happened in a regenerating rainforest makes it even more incredible. It can be funny, retrospectively, to think of the highs and lows of creating this film; the rainforest certainly doesn’t give away its secrets easily, but I really don’t think it should be any other way. The Manú Biosphere Reserve is one of the most biodiverse places on the planet, however it is also under serious threat by illegal logging, hunting, mining, agriculture and the illegal construction of a new road. Striking a balance between development, improved health and better opportunities for local people with conservation has always been difficult. However, it is crucial if endangered species like these spider monkeys are going to survive. You can help by sharing films and news, staying informed about conservation projects, supporting organisations like Crees who carry out effective projects, and visiting areas like the Manu Learning Centre that actively conserve the rainforest. If you’re interested in learning more about conservation then consider the Crees internship programme. Or, if you are passionate about conservation communications and want to learn about writing, photography and filmmaking then check out the Crees multimedia internship.